If you've invested a decent amount of time in Mega Man Legacy Collection you've no doubt noticed a few audio and graphical hiccups. The Steam version is the worst offender at the moment: sound errors, black screens, Windows 7 compatibility issues, and so forth. Fortunately these problems have not fallen of deaf ears; Capcom and Digital Eclipse are reportedly working on fixes. You didn't forget about this little guy, did you? 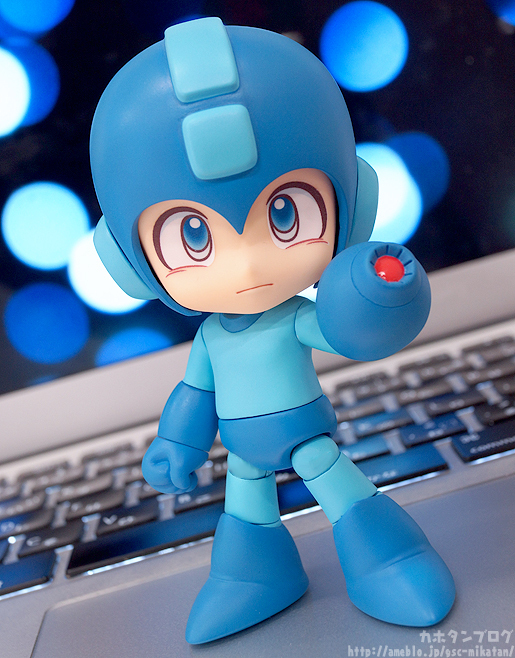 Good Smile Co. has posted a batch of new Nendoroid Mega Man images today. A number of accessories are shown off for the first time -- Buster effect parts, interchangeable faceplates, and a teeny-tiny E-Tank. See them all here. GSC says pre-orders are going up tomorrow around noon JST. And if you order from the GSC online shop, you'll receive an exclusive "death effect sheet!" Totally rad! With Archie's Mega Man winding down, the publisher is looking ahead to 2016 with a different kind of trade paperback. 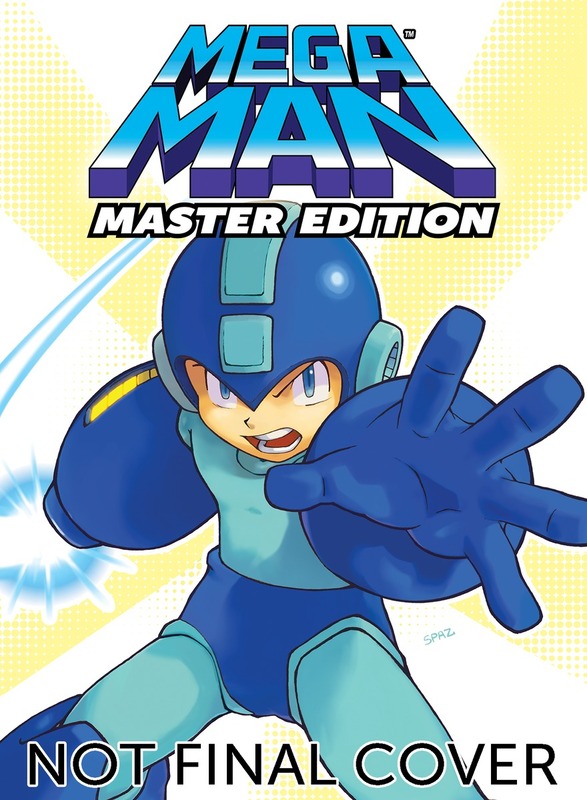 Spotted at the BNC CataList, Mega Man: Master Edition Volume 1 aims to collect the first three graphic novels in a single book. BCN lists the book as a manga-sized, portable volume spanning 336-pages. It's due out by May 16th, 2016 at $24.99 USD. As per usual with these early listings, Amazon has first dibs on pre-orders. 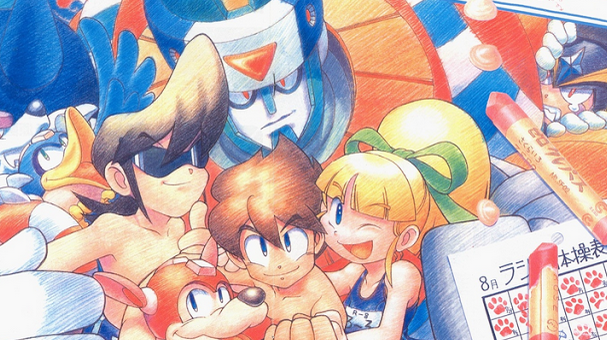 Good news for our friends on the other side of the world: Mega Man Legacy Collection is coming to Japan, rechristened as Rockman Classics Collection. 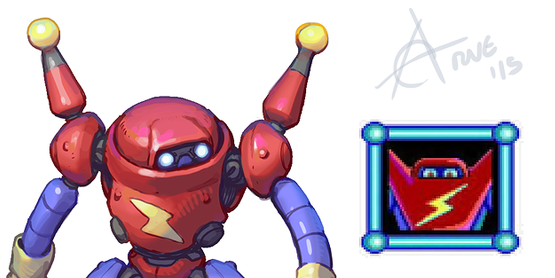 The good word comes from a savvy crew of data miners who unearthed the above logo from Legacy Collection's files. What's more, screenshots from the game have been found on Japanese Xbox One servers. Together, these images suggest a future release. It remains to be seen when the game will hit Japanese consoles. Availability is also in question, whether or not it will be available both in digital and physical formats. 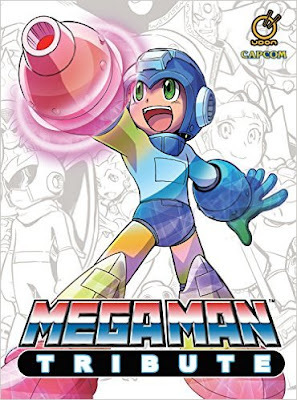 Courtesy of Amazon, here's a fresh look at Mega Man Tribute's new cover art. This piece graces the hardcover reprint, illustrated by Hitoshi Ariga (Mega Man Megamix, Mega Man Gigamix) and Jeffrey "Chamba" Cruz. The book goes on sale December 10th, 2015 for $44.99. Pre-orders are now available. It's 2015 and we're finally getting something! Yes, Mega Man Legacy Collection is here! The game rolls out on PlayStation 4, Xbox One and PC today for $14.99. The digital Nintendo 3DS version is still on track for an early 2016 release. For those not in the know, Legacy Collection brings MM1-6 to modern day consoles courtesy of the Eclipse Engine. 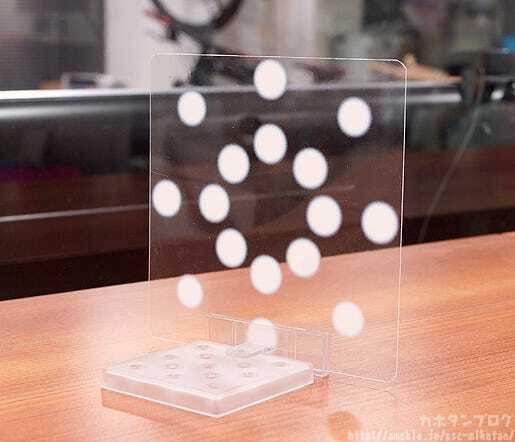 Additional extras include Challenge Mode with online leader boards and replays, a museum filled with concept and production art, a number of filters and viewing formats, and a jukebox. Physical versions for Xbox One, PS4 and Nintendo 3DS will arrive in early 2016 for $29.99. Capcom will provide more details on that front at a later date. Let's be real, $80 is a little steep for a life-size Mega Buster. 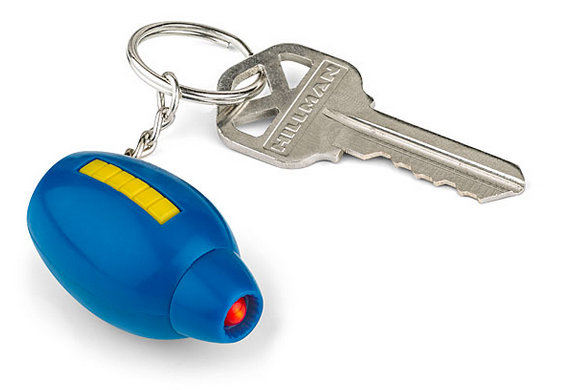 For the Zenny-conscious fan who has to have one, though, ThinkGeek's now selling a mini Mega Buster that fits right in your pocket! The key chain version doesn't have any fancy sounds, but it lights up! A very handy accessory for finding your way in the dark or annoying your cat. Isn't it just adorable? You can grab yours here for a cool $10. Mega Man Legacy Collection features all six classic NES titles in a single package. At one point, however, Capcom and Digital Eclipse considered the possibility of throwing an additional title in the mix: RockBoard, the Famicom-exclusive spin-off. Still on the fence about Kidrobot's new Mega Man line? Pixel Dan is here to help! Check out the unboxing of the new 3'' mini and 1'' keychain figures. As per usual, Dan covers everything you could possible want to know (and then some). If you like what you see, grab yours from Kidrobot! The MS-DOS versions of Mega Man and Mega Man 3 are notorious for their peculiar Robot Master lineup; an odd-ball rogue gallery straight out of the lower depths of DeviantArt. But with the right people holding the pen, these unusual robots may at last have their due. 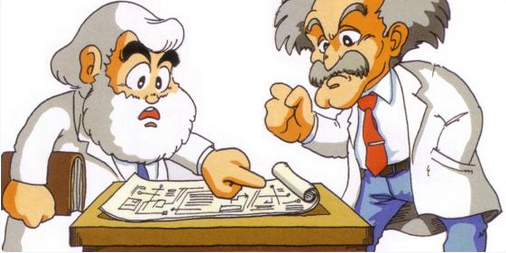 A new Super Mario Maker overview video has confirmed over 50 compatible Amiibo figures. Among the lot, the Blue Bomber himself. 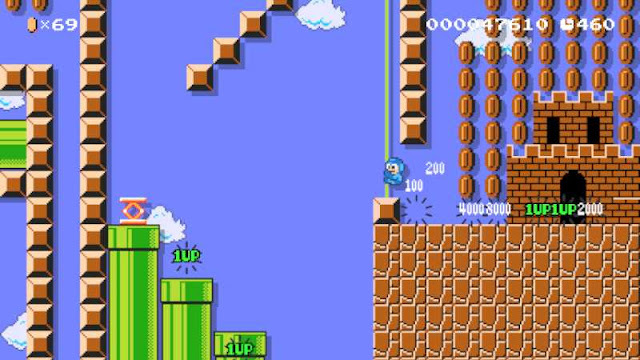 Tapping Mega Man or any of the 50+ Amiibo unlocks that character in the game's 8-bit Super Mario Bros. stages. 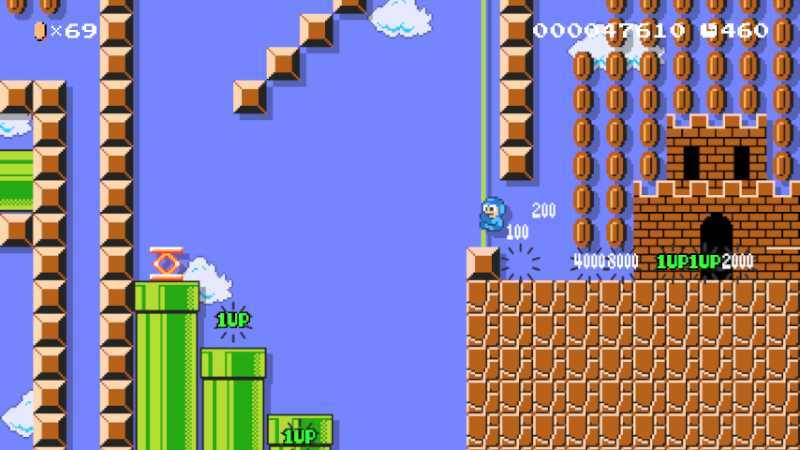 Essentially, you can play Super Mario Bros. as Mega Man. UPDATE: Added a new image! Look! 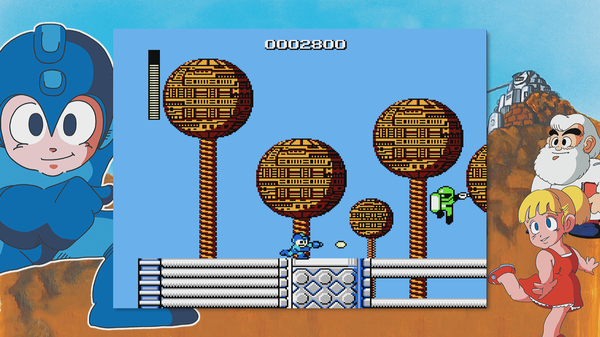 Mega Man clearing the goal flag pole! No footage of Mega Man in action just yet. We'll probably have a better idea of what that looks like closer to the game's North American launch on September 11th. 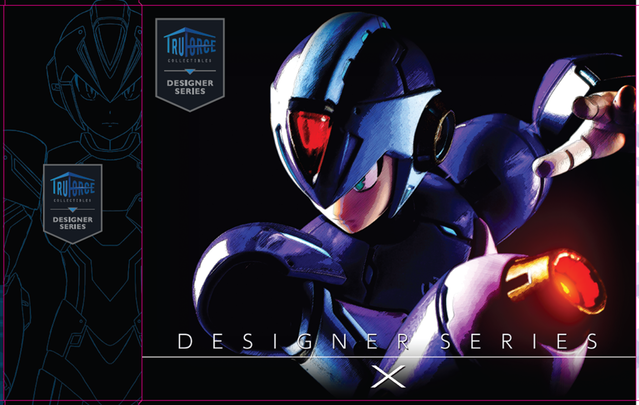 We're just a couple weeks away from the launch of Mega Man Legacy Collection. For fans just catching up on MMLC, you may find the above footage right up your alley. This is a look at the final version of the game, filters, challenges and all. Mega Man Legacy Collection rolls out digitally on PS4, Xbox One and PC on August 25th for $14.99. 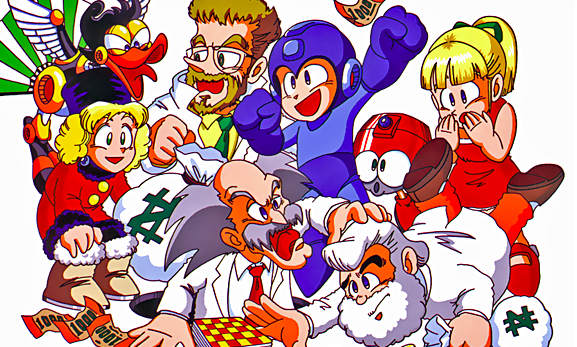 Hot on the heels of Mega Man Legacy Collection's release date, Capcom Unity has posted the complete Trophies and Achievements for the game. See them at this post or after the break! The reports were indeed true. 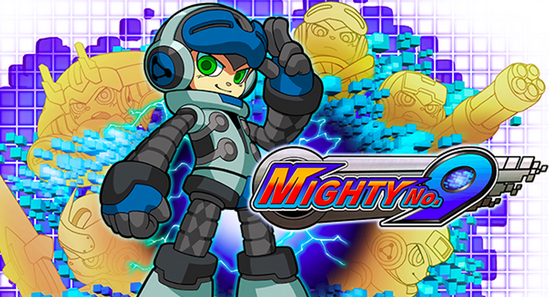 Comcept today confirmed Mighty No. 9, both retail and digital, have been delayed to the first quarter of 2016. See the statement after the jump. Aaaaand done. Red Ash: The Indeible Legend failed to reach its $800,000 goal, peaking at just $519,999 from backers. Nevertheless the game will be made but without additional content offered in stretch goals. On the contrary, the anime's campaign was a success. 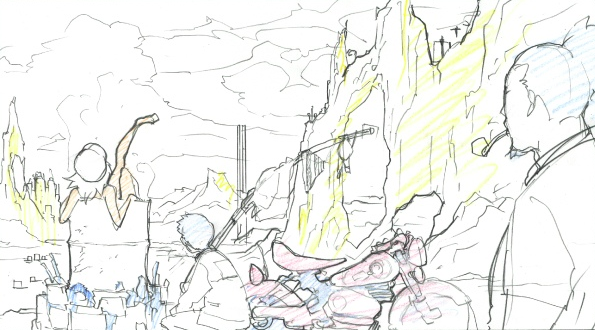 Red Ash -Magiciada- by Studio 4℃ succeeded its initial goal with a grand total of $162,882 from backers. The animated short will run 18 minutes in length. So in the end, the better managed Kickstarter succeeded. The takeaway from this? Don't rush your campaign. Not all Kickstarters have a happy ending. A well planned out, timely produced campaign lasts and hopefully succeeds. A bad one not only fails but becomes an example of how not to fail. The Indelible Legend will be held in this regard, for better or worse. So I wasn't going to address this until Comcept or Deep Silver came forward... but I don't think that's gonna happen at this time. So here we are: Game Informer and Destructoid confirmed with their sources at GameStop (Game Informer's parent company) that Mighty No. 9 has been delayed to 2016.